Safarilink is Kenya's premier safari airline. Safarilink air services facilitate travel to tourist destinations in Kenya in selected locations in East Africa. In Kenya, Safarilink provides daily scheduled flights to Masai Mara, Amboseli, Tsavo West, Naivasha, Nanyuki, Lewa Downs, Samburu, Lamu, Kilimanjaro, Loisaba, Chyulu Hills, Lodwar, Migori, Kitale, Vipingo and Diani Beach, from its base at Wilson Airport, Nairobi. Safarilink diverse partnerships with local stakeholders have enabled it to successfully participate in addressing environmental challenges. It is renowned as the first airline to partner with MT. Kenya Trust, committing itself to the carbon offset program and the first Airline to be awarded the Ecowarrior award of the year by Ecotourism Kenya. Deeply concerned with the environment and having worked with local stakeholders to plant over 3,500 trees, Safarilink was nominated and awarded prestigious sustainable airline award consecutively in 2010-2016. In 2016, Safarilink earned a judge’s recognition courtesy of Ecotourism Kenya for outstanding commitment and consistency in our CSR Projects. Safarilink is always grateful to all our partners and we strive to engage in more projects as we stretch our wings in more destinations across the country. Safarilink has a long history of corporate social responsibility. In 2010 for instance, Safarilink was recognized for among others, aggressively contributing to and assisting government campaign to reduce carbon emission by 30% by the year 2030. In that year, Safarilink even strengthened local women’s groups with training, equipment’s and tree seeds. 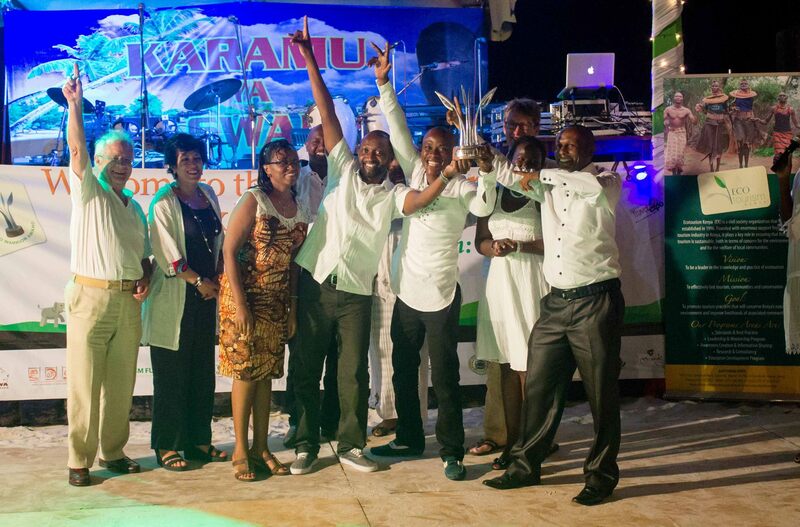 In the following year, Safarilink was honored for its generous commitment to donate $2 from each passenger fare in or out of Diani Airstrip to support Colobus Conservation. Still, in Lamu, Safarilink supports air transport for doctors and patients in conjunction with the Medical and Education Aid for Kenya (MEAK), to save lives. Again in 2012, Safarilink generously supported three-day Aitong medical camp in Masai Mara, in conjunction with the Cheli & Peacock Trust and the Kicheche Community Trust. Still, in Masaai Mara, Safarilink also supported education projects in partnership with Elsa Primary School in Samburu and Naboisho Primary School in the Mara, where it also joined Wildlife Direct in its elephant advocacy campaign ‘Hands Off Our Elephants.’ Safarilink also supports wildlife and livelihood projects in the Lewa Wildlife Conservancy. The story of Safarilink Corporate Social Responsibility will continue to blossom. We attribute our success to continued support from our clients on one hand and progressive service delivery. Safarilink, a reliable partner in making our environment better today and in future.